KHAO MO (Mythical Escapism), was first created for “Resort”, An Exhibition for Landscape of Rest at BACC in 2013. The work draws on the notion of rest and belief. Khao Mo refers to a type of Thai artistic philosophy that originated in the Ayutthaya period in the 14th century. The concept behind khao mo is the replication of nature to make it closer to humans, and the belief in the relationship between the height of Sumeru, which is a physical aspect, and the state of contentment, which is an abstraction. 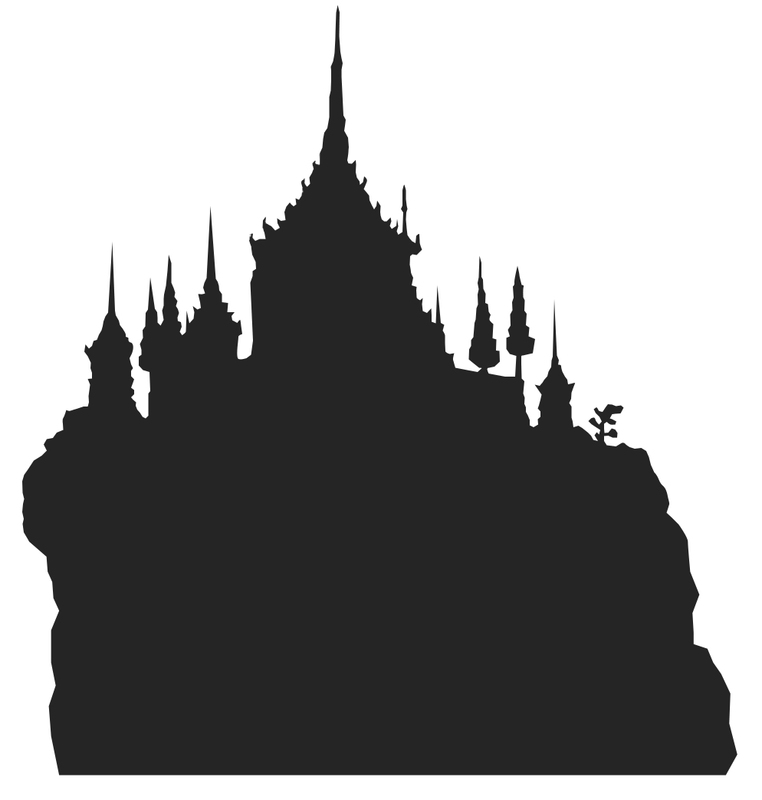 The new “khao mo” is presented within the original physical framework, but the meaning has been reduced to the beliefs about “khao mo” that have altered as times have changed. Audiences are given time to interact with the work. They have the opportunity to explore and find the hidden treasures on the inside via experiences from symbolic objects. In January 2014, KHAO MO (Mythical Escapism) has been relocated at Park @ Siam, the public park situates between Chulalongkorn University and Siam square in city center of Bangkok, Thailand. The artwork acts differently in different context and surrounding. The green surrounding and the interaction of people provoke the new experiences and appearance. Some times, it looks disappear and reappear again depending on the movement and gaze of the viewer. We are investigating the changing of it and how the artwork would develop in urban context. The photograph and video will be continuously published on the website as part of the work.